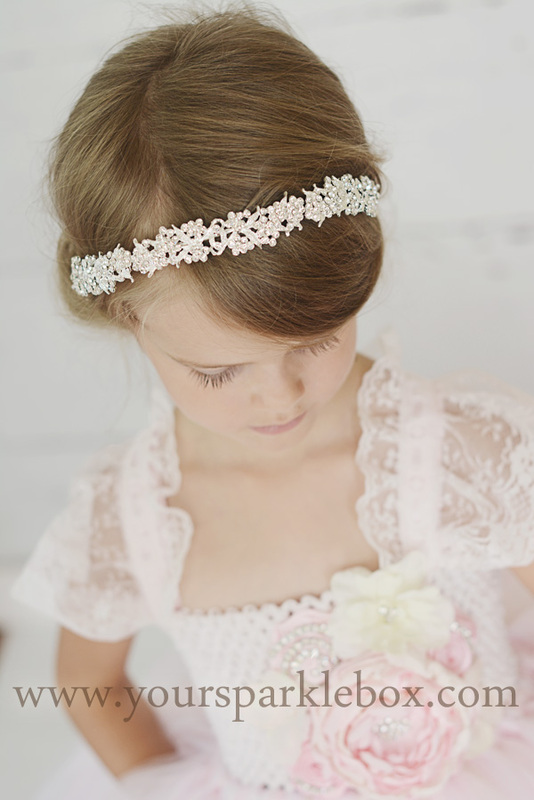 This dress is made with a hand dyed bodice and lace straps in palest blush pink. 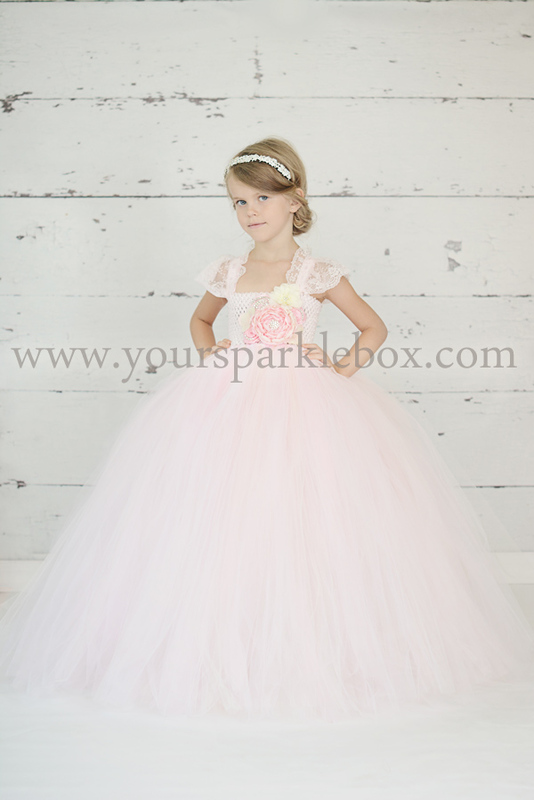 A combination of pink, white and ivory tulle create a soft look in the full skirt. The bodice is embellished with handmade flowers and rhinestone detailing to create a glamorous look for your event. The matching rhinestone headband is available in the left hand menu.